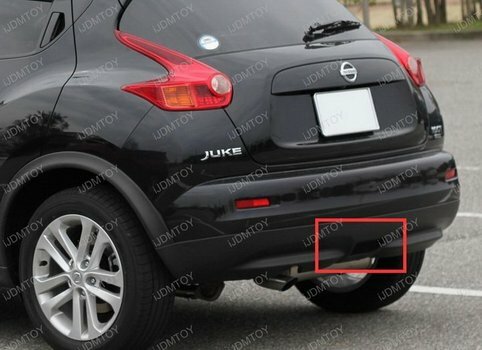 The Nissan Juke in Japan comes standard with an LED rear fog light, which is not the case for the US models which just has a plastic mesh there. 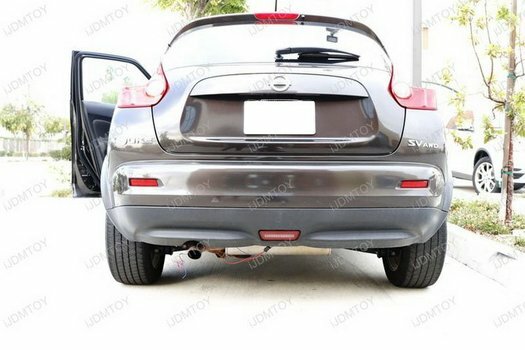 For this reason, we at iJDMTOY designed this all new Nissan Juke LED rear fog light for the US market so drivers here can achieve the JDM look! 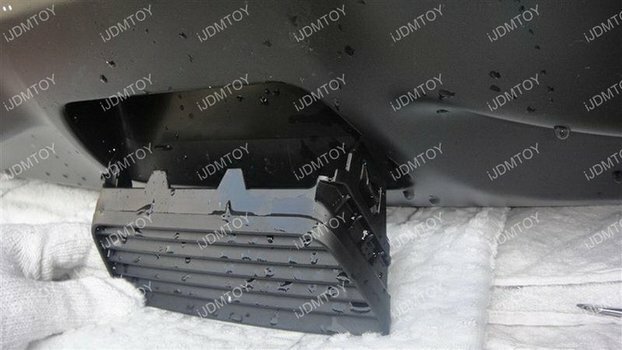 In fact we have designed many different LED rear fog lights for varities of make and models and you can find them on Amazon at LED rear fog light kit. 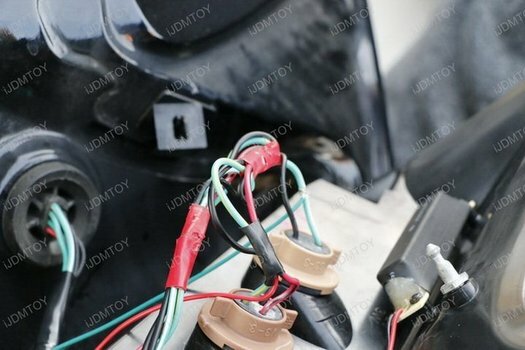 Here we will show you step by step instructions to installing this LED rear fog assembly. 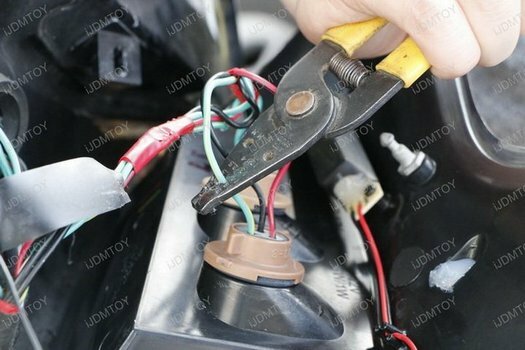 Remove the plastic cover where the Nissan Juke rear fog light would be using a pry tool . Detach the center plastic clip below the rear bumper. 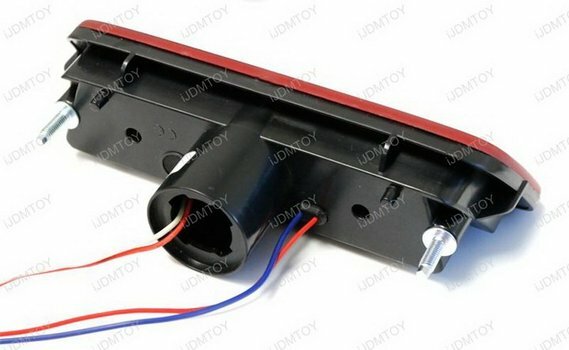 You will need access to the inside of the bumper to bolt in the LED rear fog light. 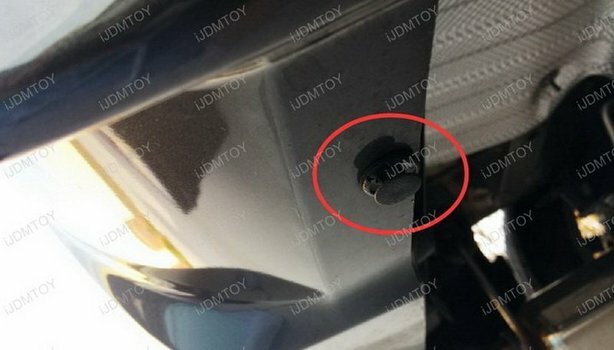 Slide in the Nissan Juke LED rear fog lamp wires first. 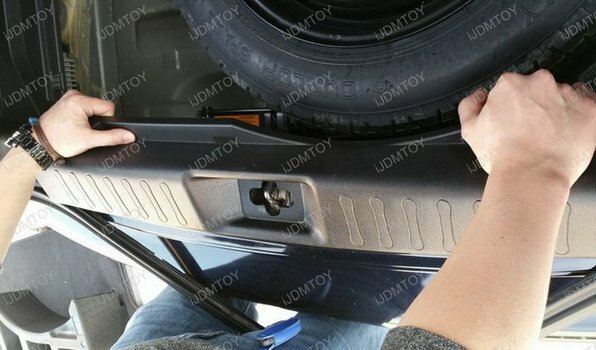 Secure the unit with nuts by reaching into the back of the bumper. 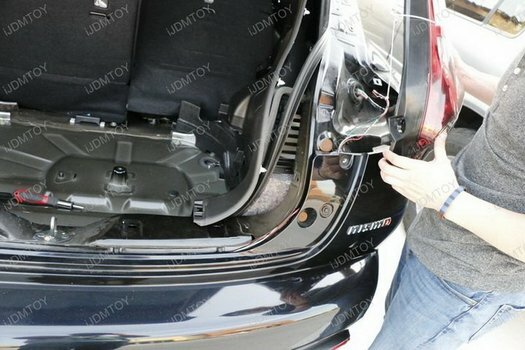 Open the trunk liner so that the LED fog light wires can be led upwards. Remove a tail light using a wrench. 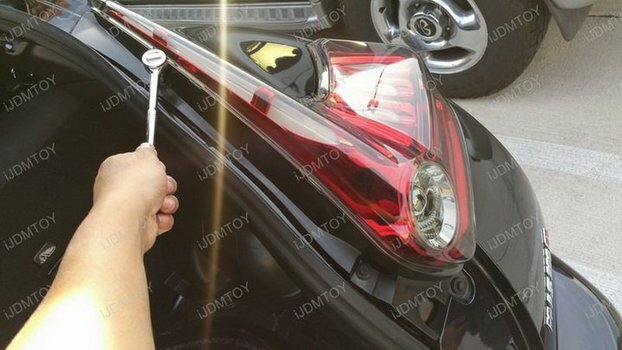 The tail light will be used as a tapping point. 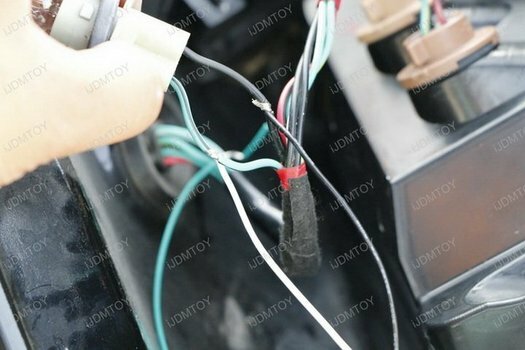 Find the tail, brake, and reverse light positive wires in the tail light harness. Find the ground negative wire. Use a wire stripper to strip these wires. 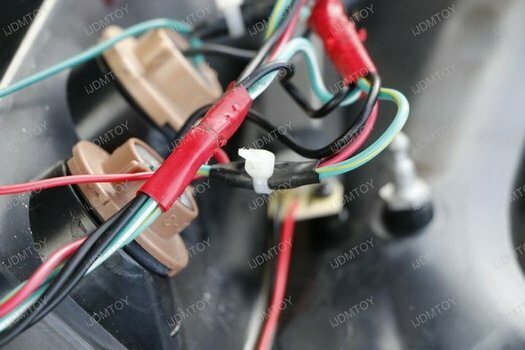 Tap the positive rear fog wire to the OEM tail positive wire, the brake positive wire onto the OEM brake positive wire, the reverse positive wire onto the OEM reverse positive wire, and the ground wire onto an OEM ground connection. Test the LED assembly to ensure everything works before wrapping the connections with electric tape. Reinstall the tail lamp back and the trunk liner. 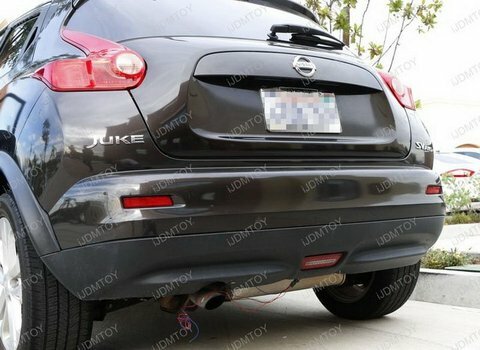 Enjoy the new LED rear fog light for your Nissan Juke! 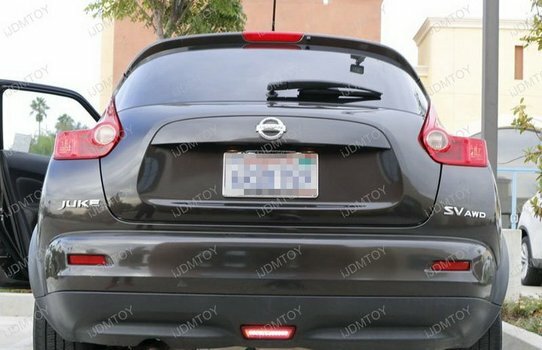 Our rear LED fog light for the Nissan Juke has 3 functions: rear fog light, reverse light, and a brake light. We aim to bring you the aesthetic of a native Japanese car while improving its functionality. Your car is set above its JP counterpart with our LED rear fog!